Our July event was a huge success. 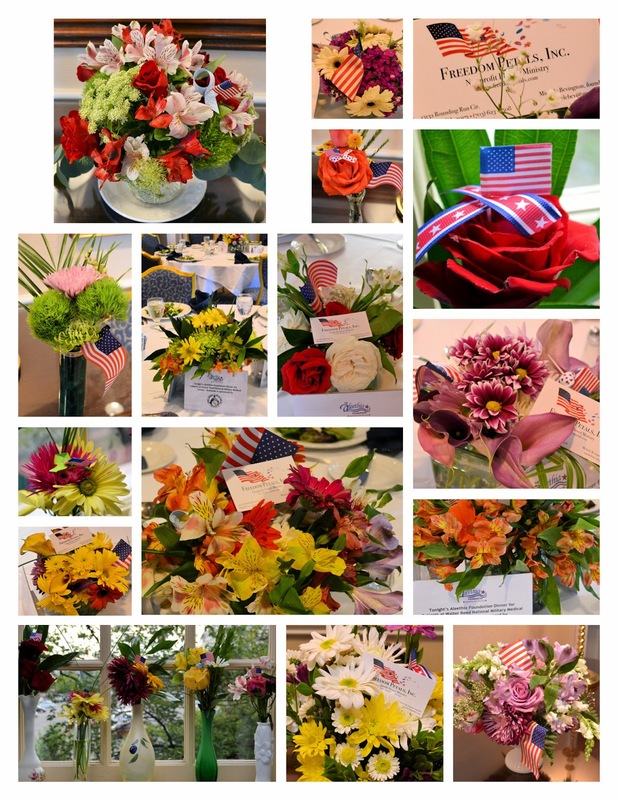 The volunteers worked very hard on Friday, 18 July to complete the flower bouquets for the Aleethia Dinner at the Capital Hill Club in Washington D.C. and for the Tuesday delivery at Walter Reed National Military Medical Center. The dinner was filled with wonder; there were so many children of our warriors attending and the special guests were the VetDOGs from New York. 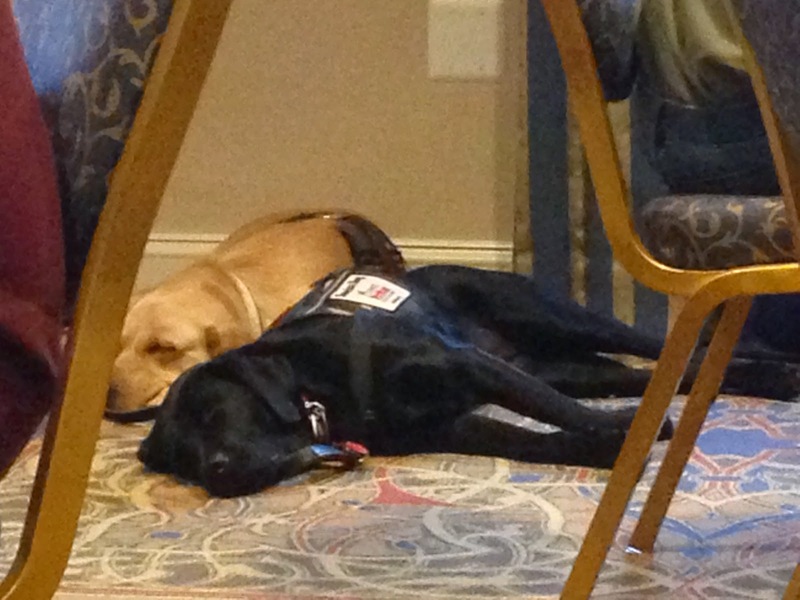 Liberty and Lela both Labs were with their Veteran owners sharing the story of how they met and what they do to help them get through a day. Please see the beautiful flowers the Friday Freedom Petals team created for the dinner and the vetdogs taking a well deserved snooze at the dinner. August is a month of rest and vacations. Freedom Petals resumes in September. I will let you know the dates as soon as I can schedule them. HAVE A GREAT SUMMER! THANKS FOR YOUR SUPPORT.